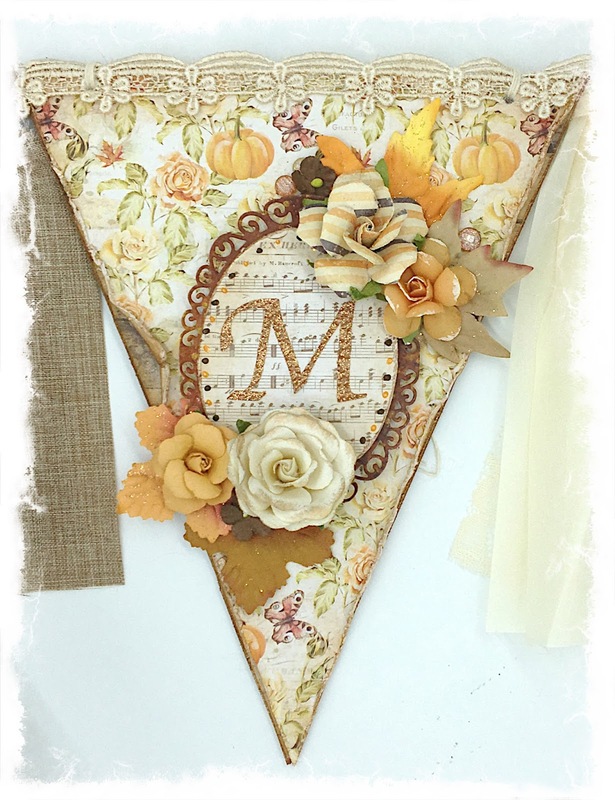 Of course, this thing is huge, and too big to even hang from my mantle, so it has to go on the wall. And, this picture doesn't even show all of the details! 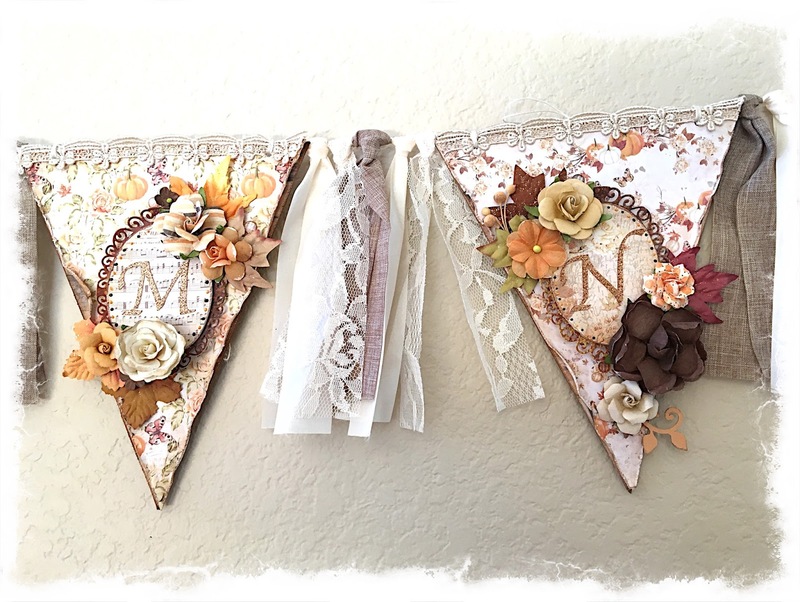 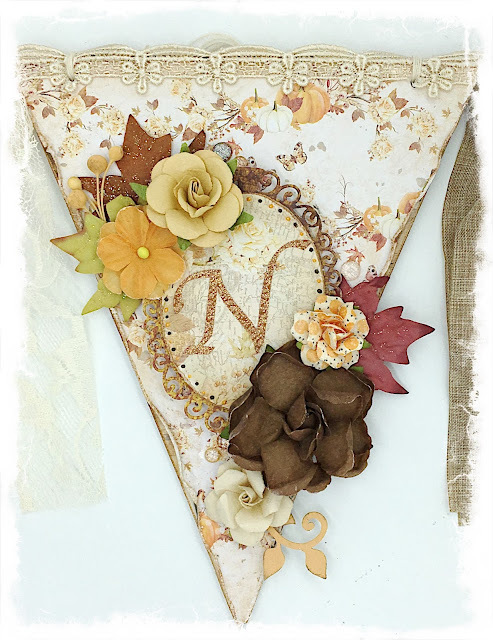 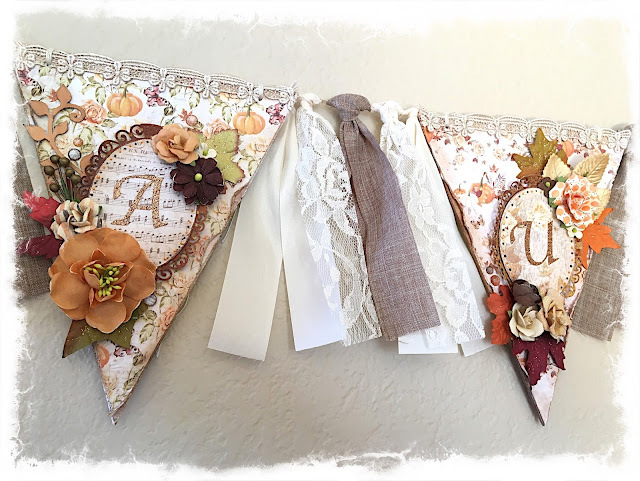 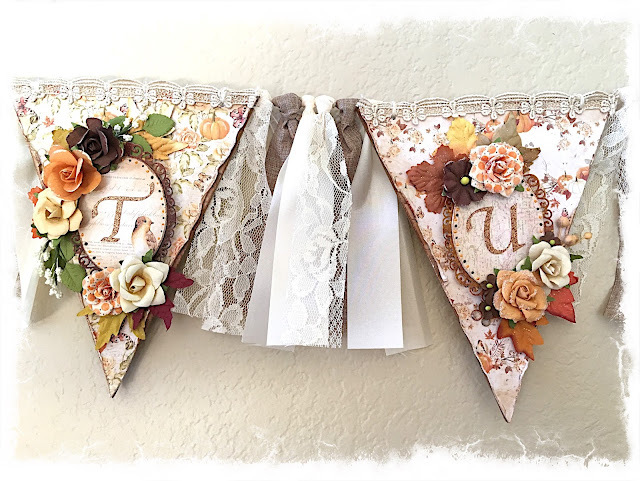 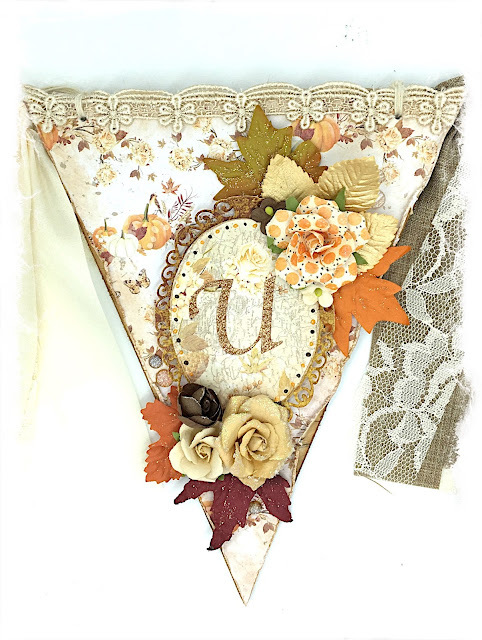 The banners are chipboard from Prima, from the Julie Nutting collection. 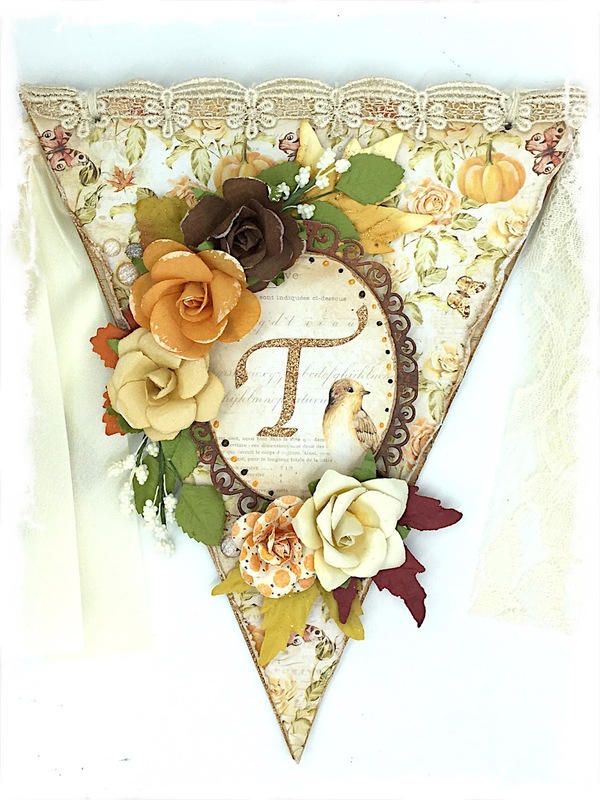 The Amber Moon A4 pad was the perfect size to make each of the banners, and I used MANY, MANY Amber Moon flowers! 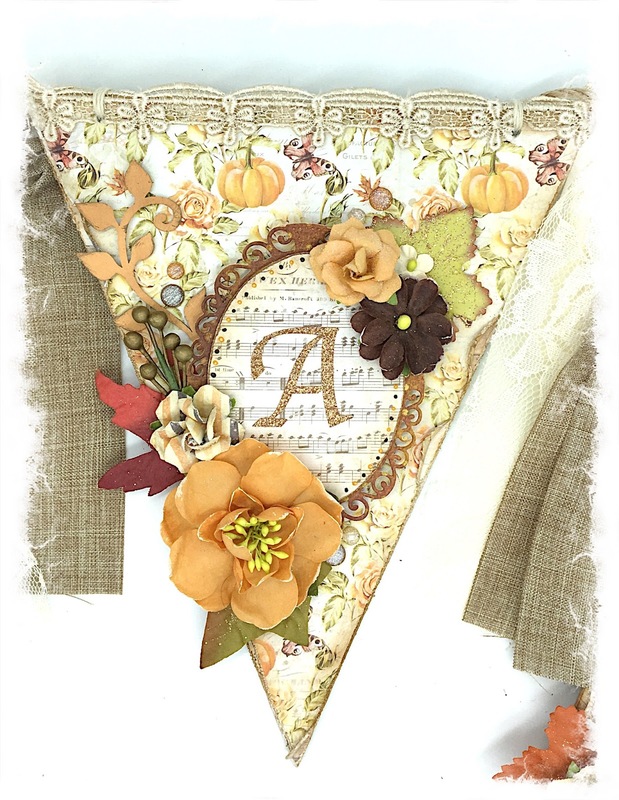 Still, you can't really see the details, so here's a close up of each banner in the bunting. 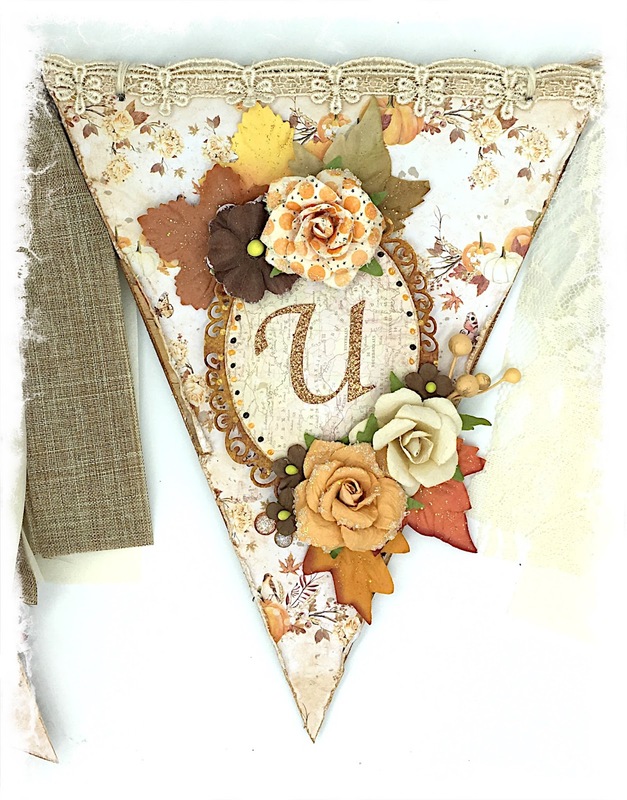 Thanks for having a peek at my bunting!